Back in the 70's I wrote the following chorus and we used it at our home church just before the Sunday School broke up to go to their classes. It was a song of praise for the first 4 lines and then a song of petition for the final 4. I thought Thanksgiving Weekend would be a good time to shake off the dust and bring out the chorus. Fill us with your love today. 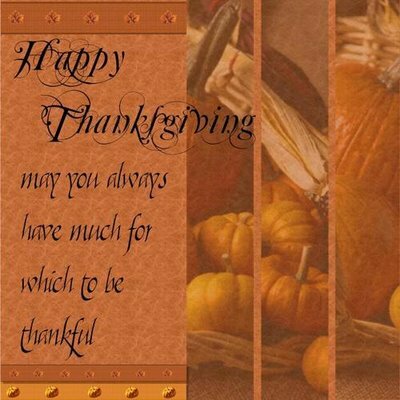 Happy Thanksgiving to you and the fam too! did i ever tell you that many of my mom's poems have been used in choruses, or made into hymns in Finland? it always feels good to uplift others, doesn't it?